Isn't this the cutest stamp ever? I love the 5 stamps and sayings are so sweet. This is a great set you can get free during Sale-A-Bration time till March 22nd. If you want to book a party or workshop...please feel free to email me. You could also go to my online store and and put in your $50 order. Click on my online button! These cards were received from a swap or a blog. Thank you to all for allowing me to use your cards on my blog. Getting projects ready for this SWEETHEART of a day. I love this mailbox. Pool Party is such a wonderful color with red. It is a great combination. I love this 2011-2013 DSP and More Amore Specialty DSP. We made this mailbox at our last meeting. This is a great project...don't you love the bow! Don't you love this bow? This was a great project I found another Demonstrator's blog. This can be so simple and easy project to create. Hope I have provided you with some nice ideas. Sweet accents. Adorable tags. You'll find lots of fun using this eight-piece set. Coordinates with the Petite Curly Label Punch. Spend $50 during Sale-A-Bration and get one free product! See promotion details for more information. Remember to use the Petite Curly Label Punch. This fits perfectly with this stamps set. When you order $50 worth of product, you can order this stamp set or punch. Please go to my online store and place your order today. You could also sign up to be on my creative team! Thank you for stopping by and leave me a comment. Did you realize that Valentine's Day is right around the corner? So we all need to start thinking HEARTS! What another great day to celebrate being a card maker! I have been playing with the Hearts Collection Framelits #125599. I learned this technique from Kelly Gettelfinger. You can find her video here. Enjoy this wonderful card. Thank you for stopping by and Creating Cards with me! I wanted to share examples of all the SAB stamps and accessories. These samples are from other stampers. Enjoy these wonderful cards and EMAIL ME to book a WORKSHOP o place a $50 online order! These are cards I have received from a swap or off pinterest. It’s here! Sale-A-Bration 2013 has begun. How will you party during Stampin’ Up!’s premiere event? There are three ways—choose all that apply! Have your friends over for a party and earn fantastic Sale-A-Bration freebies with a qualifying order! For a minimum $150 US party, you’ll get a FREE pack of Silver Glimmer Paper (silver paper for Stampin’ Up!’s silver anniversary!). Host a $400 US party, and you’ll get the free Glimmer Paper PLUS a FREE product bundle—and that’s in addition to the normal hostess benefits (including $65 US in FREE products of your choice)! Contact ME today to schedule your Sale-A-Bration party. Shopaholics unite! For every $50 you spend, you’ll get a FREE Sale-A-Bration product—there are nearly 20 to choose from! Visit MY Online Store to start shopping. 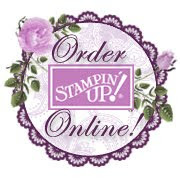 Party all the time when you become a Stampin’ Up! demonstrator. Plus, when you join during Sale-A-Bration, you’ll get 25% more products for FREE in your Starter Kit! Click here to JOIN above to take advantage of this limited-time offer. Sale-A-Bration is one of the most exciting times of the year at Stampin’ Up! How will you Sale-A-Brate? Hit the comments below. View the Sale-A-Bration catalog here. Please email me with a date for your party! Tomorrow I will have cards made with the SAB stamps and accessories. New class are around the corner! Sign up here for my classes by clicking here! Do you get frustrated trying to make the perfect masculine cards for birthdays, Valentine’s Day, and other occasions? Worry no more! When you join this class, you have the challenge beat! Bold graphic patterns and colors combine to make stylish cards for guys. While these cards were designed with the men in your life in mind, you’ll find they are great for anyone. You’ll love having those notoriously hard-to-design masculine cards on hand for special occasions. Reserve your spot today and be ready with cards for your favorite guys (and gals)! Please remember your Crafter's kit! A downloadable PDF with complete instructions and full color pictures to complete the 4 cards and holder shown above. A great card holder you can use for any occasion. A Gallery of Alternate card ideas to inspire you! 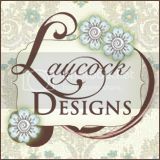 Ready to Stamp and Create Beautiful Cards for only $7.95? Don't you wonder how they can use all of a 12 x 12 sheet of cardstock or Designer Series Paper? This class is a great class to learn how to use most of the paper and throw away a couple of straps. You will want to sign up for this great class using the Summer Silhouettes and International Bazaar DSP. You will make 9 cards and 2 6x6 scrapbook pages. You will take home a pattern that you can use over and over again. Don't wait and sign up today! Remember to click the link at the top of this post! Please join me today in Creating Cards for you!